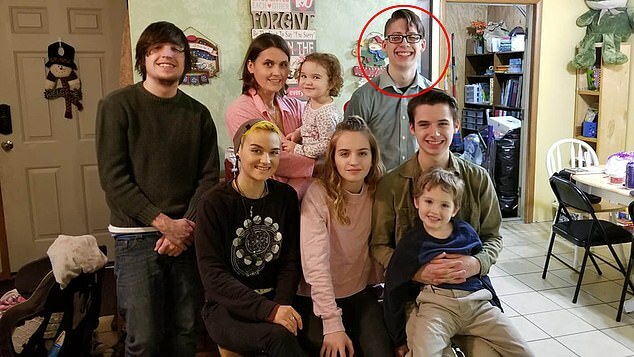 Ethan Lindenberger has been praised by Reddit users for getting vaccinations despite having Anti-Vax parents. Users of online forum site Reddit have praised an 18-year-old who defied his anti-vaccination parents and chose to get vaccines in order to protect himself. Ethan Lindenberger, who had just turned 18 at the time, went onto Reddit to ask if it's legal for him to get vaccinations. Users went on to slam his parents, and told him his life was at risk if he didn't. In the post, Lindenberger criticized his mother and said "It's a miracle I'm still alive." After reading the responses, he received vaccinations for six diseases, such as mumps and hepatitis. His mother has responded angrily and called the move "a slap in the face". '"It was like him spitting on me, saying 'You don't know anything, I don't trust you with anything. You don't know what you're talking about. You did make a bad decision and I'm gonna go fix it'." she said. "I did not immunize him because I felt it was the best way to protect him and keep him safe. The oral vaccine started giving people polio. And it went from almost completely eradicated, to the numbers were shooting, sky-rocketing back up, from immunizations." After hearing his mother's explanation, Ethan decided to do his own research, and found this wasn't true and came to the conclusion that he needed vaccinations in order to keep himself safe. Upon confronting his mother with his new-found knowledge, she simply replied "That's what they want you to think". Angered by her response, he turned to Reddit for guidance. "I'm a very obedient child. I don't really try and go against my mom. Even though I'm 18, I don't pull that card," he said. Despite the backlash, his mother has said she is considering giving her other children vaccinations, which has been supported by Ethan's brother. However, his sister still believes her mother and says she doesn't want them. do you agree with ethan or his mother? let us know in the comments!